Please sign the All Things Encaustic Guestbook. Once approved these comments will be public. If you can answer a question from someone else please do. So thrilled to find this blog! I am an encaustic instructor and artist in the Seattle, WA area. Re: Primers for use under encaustic and freeze tests. I’m new to encaustic work. I’ve been using quarter inch MDF board and priming it with “Z Primer”, an oil based flat white primer. But today I put a piece of work in the freezer for about 30 minutes and the encaustic began to crack and separate from the board. Yikes! My medium is 85% beeswax and 15% Damar. Have others experienced failure of adhesion in freeze tests? What primers (or no-primer) do not fail under these conditions? And, another questions; some of my works develop a cloudiness and others do not. What’s going on here? Same number of layers, same batch of medium…? Cloudiness can be the medium formula I found straining though cheese cloth helps and R & F has a great granular medium that is truly clear. Most likely what’s occurring with the cloudiness is “bloom”. It’s essentially microscopic air bubbles coming to the surface which is part of encaustic paint’s curing process. Generally speaking, this will happen anywhere from several weeks to several months after you complete a painting. All you need to do is buff it with a soft cloth to reveal the lustre of the damar in the wax. Eventually the bloom will cease after about a year and the painting will only need to be dusted occasionally. I include a care sheet with every painting I sell that talks about this so that clients know what to expect. It’s just a natural part of the process. cloudiness can come from pollen in the beeswax. If you can remove it by rubbing surface with a soft cloth, its pollen coming to the surface. Check with Richard Frumess, owner of R&F Hand made paints – he’s the expert on freezing, cracking, etc, he has done many tests and experiments with encaustic paint, medium and has invented a primer to go under encaustic. The muse flew in with encaustic medium and taken up permanent residence. I am joining this community to learn more about the ways of other encaustic artists. I am here for inspiration, answers, and instruction. I just ordered an encaustic kit this morning. Lovely to find you here, I have been working with Encaustic Wax for just over eight years now, I also teach workshops from my Studio not far from the Jurassic coastline of Lyme Regis, here in UK, I am currently setting up my new Studio to accommodate larger groups. I am looking forward to reading this blog ….you can never stop learning…. I have enjoyed all the wonderful information about the do’s and don’ts of encaustics. Very happy to have found this blog! I am an encaustic painter in PA relatively new to the medium (2 years). I am an encaustic & mixed media artist in the UK. So envious of all the products and workshops available in the US, it is still a relatively new medium it would seem in England. Looking forward to following the blog. Just wanted to say hi. I live in Burnaby ( next to Vancouver) British Columbia canada . Am interested with linking up with people around the world doing this kind of work. I follow a number of people from the states who do outstanding work.. I realised I better up date my page in case some one wants to see my work . Well have a good day. look forward to connecting. Been using R& F pigments sticks and love them. I want to mix my own colors using dry pigment and medium. Looking for suggestions on brands of dry pigments that have been successful for you. I’m so happy to have found this blog. I just completed a ‘three-day intensive’ workshop at R&F Paints in Kingston, NY. What an experience! I’m a photographer, and am interested in learning techniques that will help me to incorporate my work into encaustic pieces! I have been searching all over for a place to find mentors in Encaustics. This seems to be the most comprehensive place I have found so far. I’m a high school art teacher and I have been teaching myself this new media. I plan to encorporate it into my classroom. Any suggestions from the experts here will be greatly appreciated. Happy Thanksgiving, 2016. I recently discovered your site and I am enjoying and learning. I am, Dee Gutowski-Smith in Johannesburg, Michigan. Thanks Dee! I’m happy that you are enjoying the site. I am just starting on a journey of discovery about encaustic painting. I live in Natal S. Africa. Welcome Anne. Encaustic painting is a wonderful journey! I have taken a workshop to learn encaustic with photographs but have many questions now that I am working on my own. 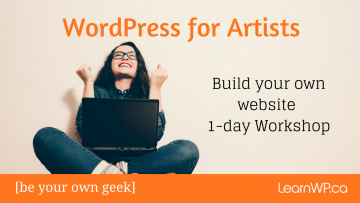 This blog sounds like the perfect place to connect with other artists with questions and answers! I’m new to Encaustic painting and I’m fascinated by it. Would like more or any new information about it. I’m doing paintings and came to this site to learn how to frame or not to frame. For encaustic painting a substrate should be absorbent. You can read more here about choosing a substrate for encaustic painting. This document from R&F will further answer your questions. Happy to have found this site and blog! 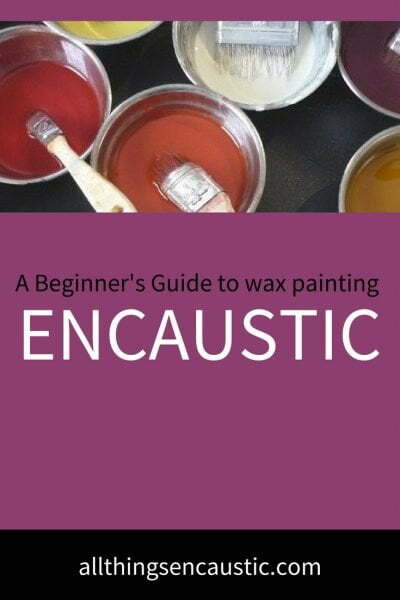 Tons of books on encaustic, but none devoted strictly to phot-encaustic that I can find. Opportunity?? YouTube is great, but being able to refer to the printed word is invaluable. Glad I found you! Sooo glad I found this ! Hi, I’m a photo encaustic artist. I’ve been referring to All Things Encaustic for a while now for instruction and inspiration. I love it here. What heating box, element etc. would accommodate a larger plate and where are these available from? I am a beginner encaustic painter and I am looking for new techniques to try. Hi Folks, I’m wondering if anyone has “coloured” Venetian plaster as a base for encaustics and if so with what, I’m thinking pigments. Thank you ahead of time for any input. I don’t know about coloured plaster but you can use Chalk Paint! Exactly what brand of Venetian Plaster is recommended as an alternative to encaustic gesso? And any other suggestions about using it? Can you please respond to my email, not certain I’ll get the info through this site. I want to do some impressions in the surface of work. Unfortunately I’ve noticed that many times the medium pulls up when I remove the item in this case a pine cone. Does anyone have an insight on a something I can use to spray or brush onto it (pinecone) or other natural material, that will keep the wax from adhering to the surface? Could I just rub coconut oil on it? I’m a beginner, but already hooked. Fantastic to find so much information in one place. So much to learn. Most of the time, I’m a textile artist doing hand-dyed cloth and making clothing. I live in tropical Far North Queensland, Australia, and one problem we have around here is a wax moth which finds beeswax delicious. It leaves little trails on art work, and can destroy one’s stash of wax if not well sealed. I’m reluctant to sell work that may be eaten. My bee man suggested adding a few drops of tea-tree, wintergreen, or other aromatic oil to deter them – does anyone have suggestions? I hope you get a forum to go along this site.